Team Suzuki Press Office – February 14. 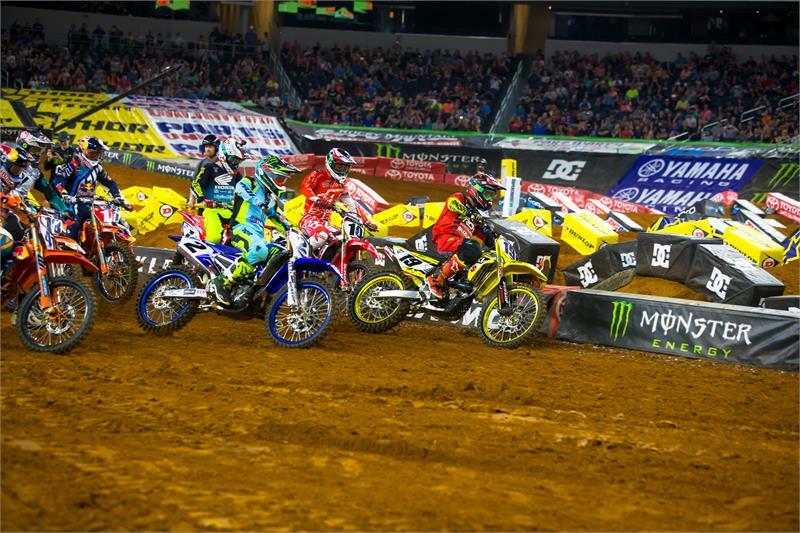 After a sluggish start to the 2017 season, RCH/ Yoshimura/ Suzuki Factory Racing shifted into a higher gear for Saturday’s Monster Energy AMA/ FIM World Supercross at AT&T Stadium in Arlington, Texas. Broc Tickle, rider of the No. 20 Suzuki RM-Z450, turned in his best performance of the season with a solid sixth-place effort. Tickle’s RCH stablemate Justin Bogle also notched his best overall performance of the year by winning his heat, grabbing the holeshot in the Main Event and bringing home a solid ninth-place finish.